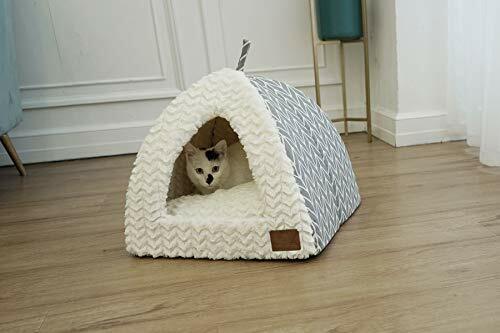 Miss Meow has once again taken style and versatility to another level with this sturdy, well crafted tent bed. 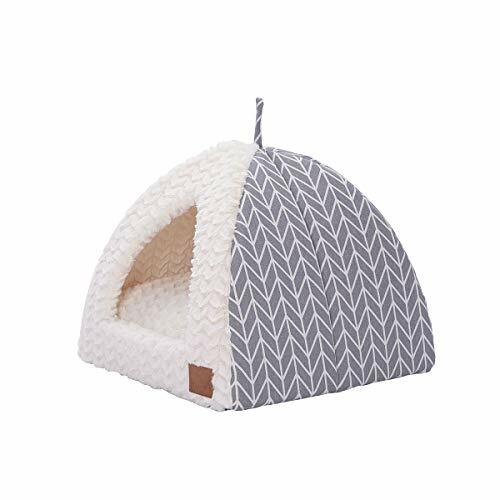 Color coordination is a stylish feature with a gray arrow color shell and interior white fleece thick cushion, and it is available in two sizes: medium and large. It is crafted from linen&cotton fabric with reinforced seam stitching and a reinforced base for added strength and durability. It can be easily converted to a flat bed with its collapsible tent feature. A zip out pillow also adds to its versatility, easy of cleaning, transport and storage. Rest in the comfort of knowing that your pet feels at home in its home. Weight: Size M-2.6lbs, Size L-3.0lbs. Wash: The entire bed is machine washable. Model Cat: 6 months old, 8 lbs, 12″L x 3.5″W x 10″H, in size Large on photo. 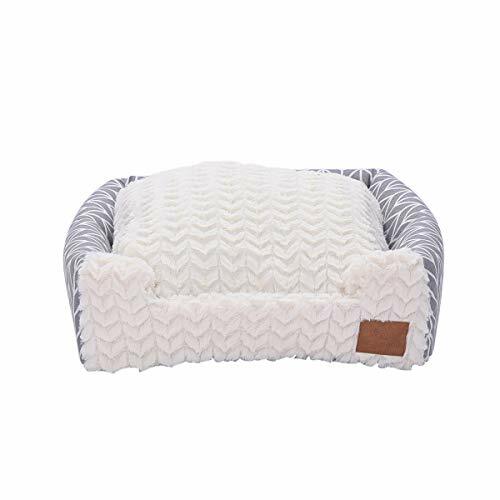 Model dog: 1 year old, 15 lbs, 15″L x 7″W x 10″H, in size Large on photo.Linen&cotton Fabric: Linen is highly favored for its durability, coolness, moisture absorbency, and appearance. 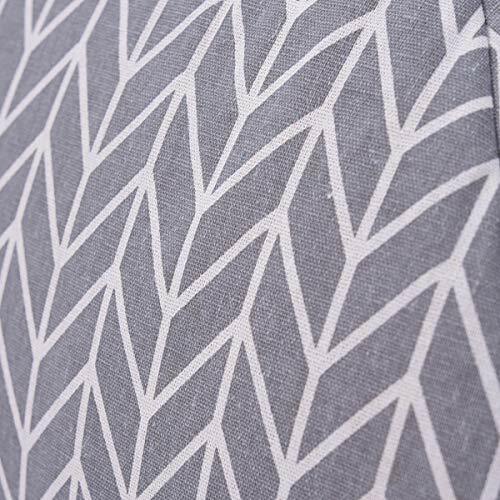 It is a signature of style and quality.Our fabric choice is also Eco-friendly which automatically makes it pet friendly. Capture loose hairs without the worry of hairs becoming deeply embedded while maintaining fabric integrity. Convertible/Collapsible: Our tent bed conveniently converts into a flat bed, making it not only versatile, but a wise investment. 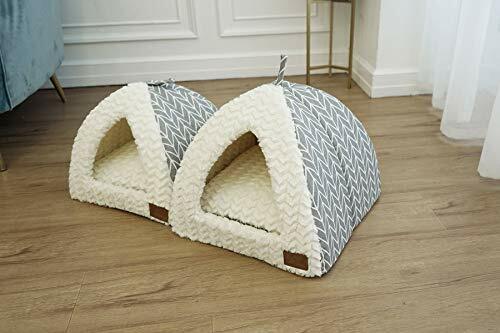 Give your pet two beds in one: a tent for fun and protection from the elements, and a simple flat bed for increased ventilation and interaction with the environment. The collapsible tent feature makes tent-to-flat bed conversion a breeze. With a gentle amount of pressure, the apex of the tent collapses to form a more flattened surface for pillow or cushion placement. Reinforced Bottom and Seams: The base of our tent bed was specially designed with expert seam stitching and a reinforced bottom. Our proprietary fabric bottom eliminates floor scratches, provides stability and durability, contributes to the overall esthetics of the bed, and the fabric can be easily cleaned with a light brushing or a damp cloth. We added style throughout the bed structure, including the base. 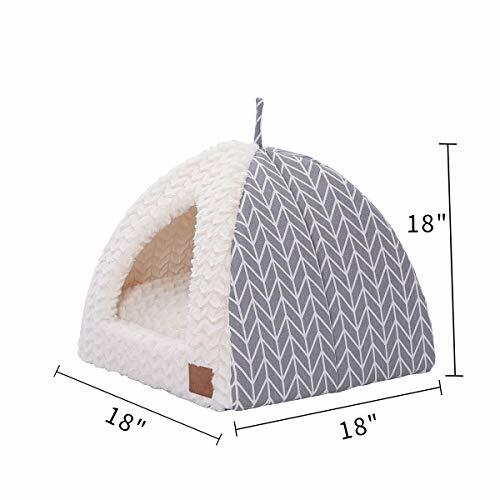 Two Sizes: Whether you have a small pet, a growing pet or a fully grown pet, our tent design is sure to accommodate your needs.Small pets will enjoy ample space to sleep, play or simply appreciate the extra ventilation.Growing pets will appreciate the room to grow and you will enjoy peace of mind in knowing that your pet won't be cramped or that you'll have to invest in a larger size bed within a short time frame.Full grown pets can enjoy the security of knowing that the bed is a perfect fit. 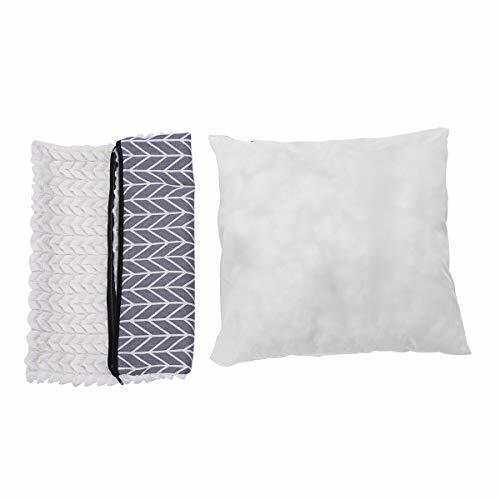 Zip out Pillow: One of our more clever features is a removal pillow cushion. A zippered pouch encases this cushion which serves as the bed ‘mattress'. Both the pouch and the cushion can be conveniently cleaned separately from the tent shell to maintain and restore freshness, eliminate odor, and reduce/eliminate unwanted hairs.